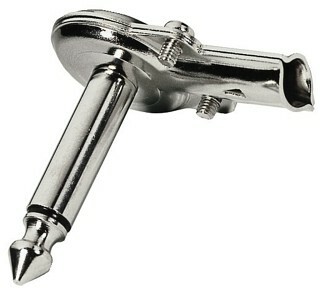 Enlarge Stereo panel jack, Ø 6.3 mm . 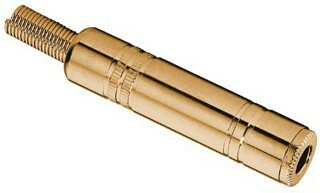 3 gold-plated switching contacts. 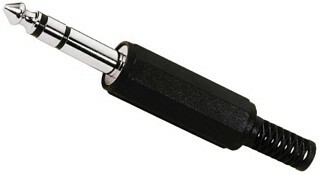 Enlarge Dust cover, for 6.3 mm jacks, rubber version. 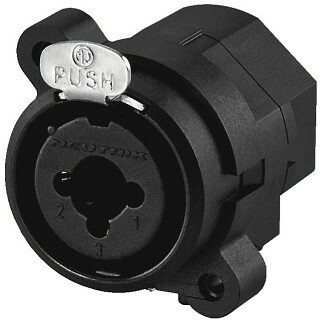 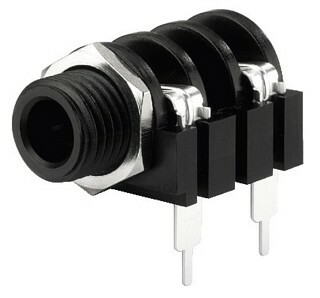 These covers protect unused connectors of mixers, amplifiers, etc. against: Dust, dirt, moisture or wrong cabling. 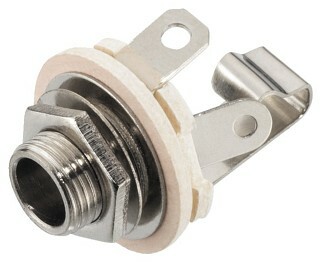 Note: The supplied strain relief clamp cannot be used with a cable diameter>5.5 mm. 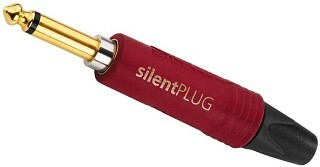 The muting function prevents interfering noise, e.g. when hot swapping guitars. 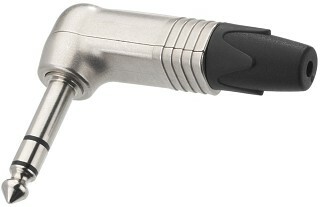 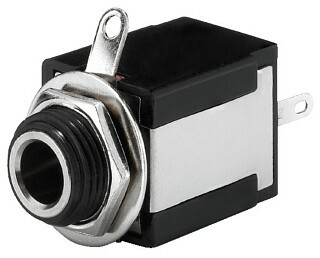 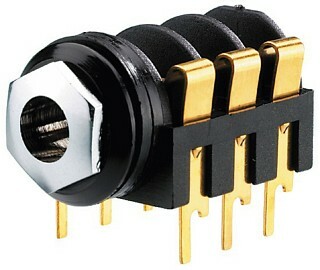 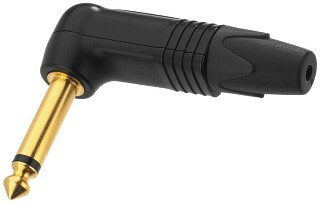 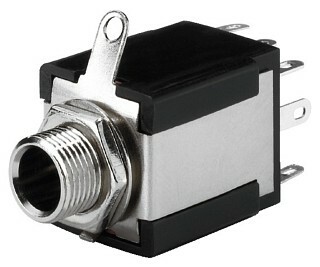 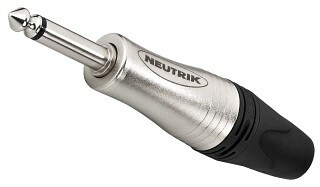 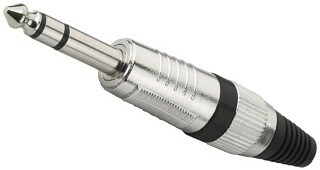 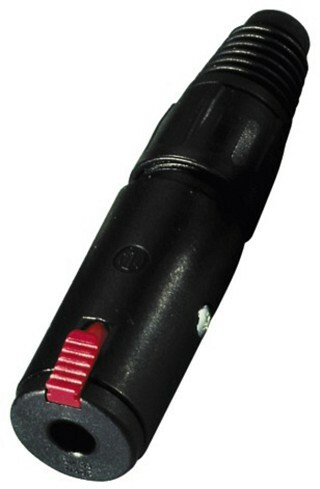 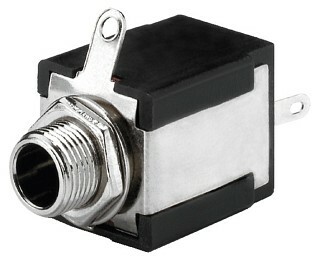 As soon as the 6.3 mm SILENT plug is disconnected from the instrument, the integrated magnetic switch short-circuits the contacts. 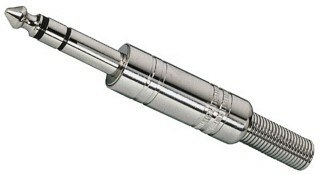 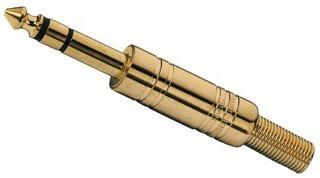 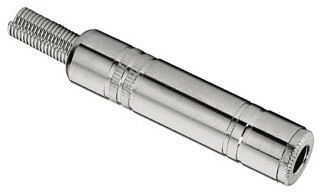 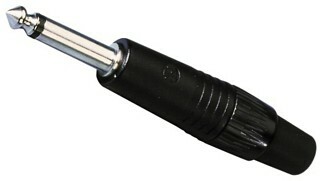 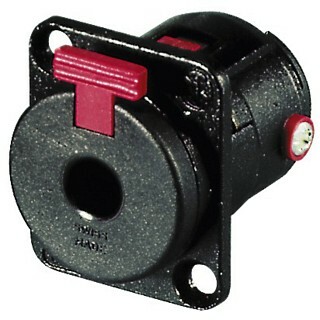 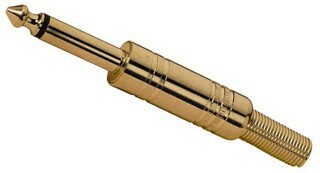 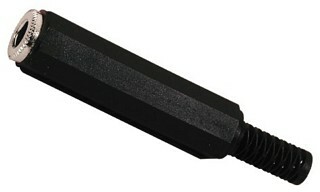 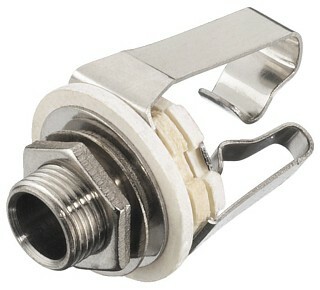 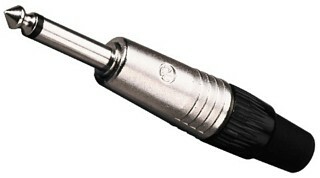 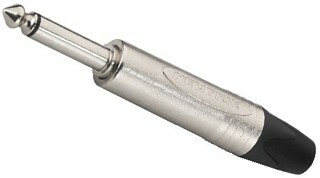 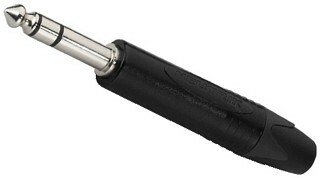 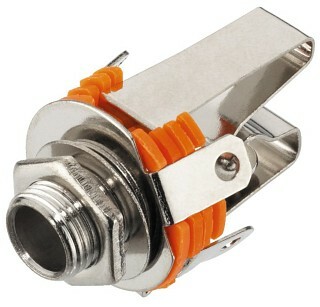 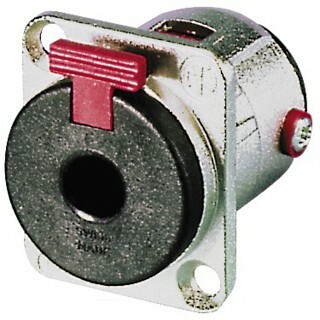 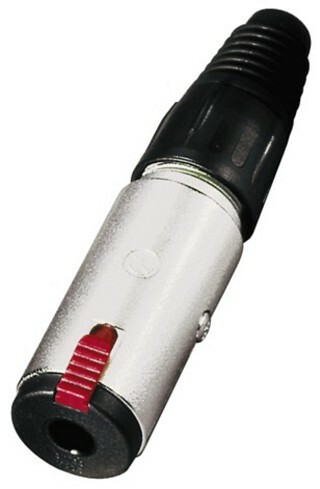 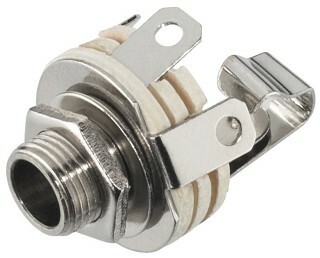 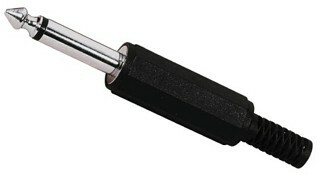 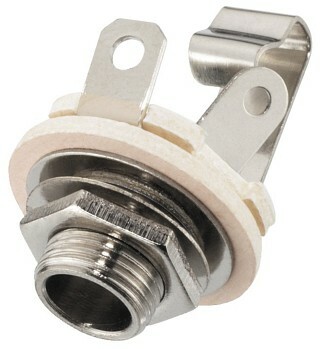 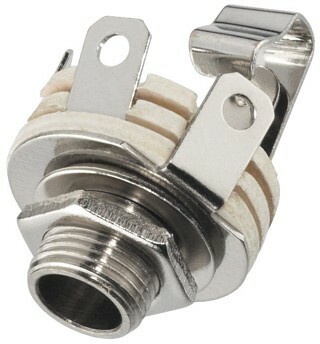 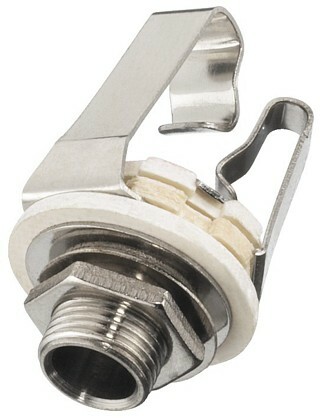 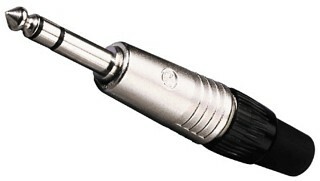 Enlarge Mono panel jack, Ø 6.3 mm Without switching contact. 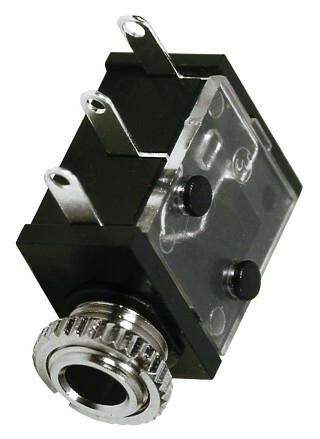 Enlarge Enlarge 6.3 mm Stereo and Mono Panel Jacks. 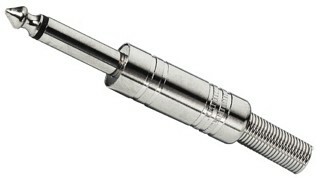 Chromium-plated version. 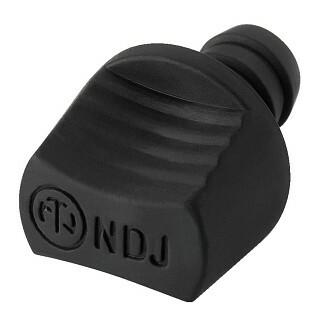 Enlarge 6.3 mm Stereo and Mono Panel Jacks. 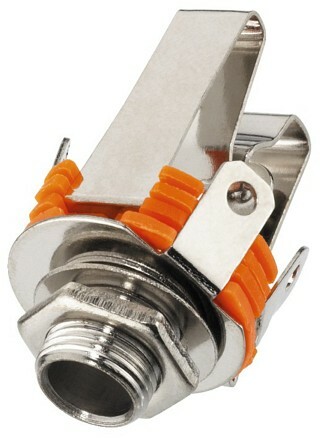 Plastic body.